There are plenty of ways to experience the outdoors and get some exercise, but there really isnt anything as fun as a round of paintball with friends – even if they are temporary enemies! 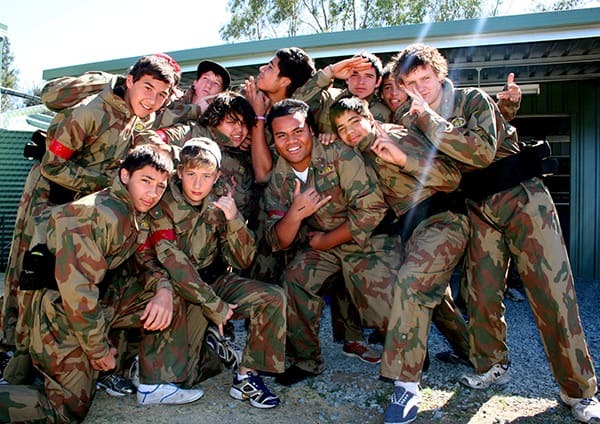 Aside from getting you moving, paintball offers an adrenaline rush and a day of excitement, plenty of mental stimulation strategising and outwitting your opponents while also being a great teambuilding activity. However, if you’ve never played before, setting foot on the field for the first time can be very intimidating, especially if all you know about the game are the many unpleasant myths that surround the sport. Let’s put your mind to rest by debunking some of the common ones! While a direct hit on bare skin at close range is going to sting, it’s nowhere near as bad as you may be led to believe! Most of the time, a strong thump is all you’re going to experience and with our high quality protective clothing and safety rules, it’s unlikely that you’ll experience any direct hits in the first place. Even one layer of clothing provides pretty good protection. If you’re still concerned, take some basic steps to protect yourself further by wearing layers, sturdy shoes or boots and gloves in addition to our full head goggles. Another option for beginners is to make sure all players are fully aware of the surrender rule. This means that a player who has a direct shot at an opponent needs to give them a chance to surrender without being attacked from all sides! Acting together with teammates rather than taking on a vulnerable position alone where you could get shot multiple times is always a good idea. Of course the aim of the game is not to get shot at all – so making sure your strategy and positioning are top notch is a good way to prevent discomfort and come out victorious too! Almost all paintball paints are water soluble, meaning they actually wash out very easily. That said, white fabrics aren’t your best choice for the field – plus, you’re really not going for high visibility here, are you? Dark fabrics will never stain and even lighter colors wash out easily, especially if you put them in the wash as soon as you get home. Avoid letting the paint dry on the clothing for too long before they go through the wash.
As an extra precaution, wear clothes you don’t mind getting damaged or dirty in the first place – you’ll likely be spending time crawling around on the floor and scrabbling around trees and obstacles, so wear clothes you wouldn’t mind parting with in any case. Remember to bring a change of clothes for after the game so you don’t have to get into the car wearing your splattered clothes! While it’s natural for parents to worry about their child’s safety, age really isn’t an issue in paintball at all. In fact, young players who are small, quick and agile often have a real advantage in this game! Remember that paintball isn’t a contact sport – the size of the players doesn’t really factor into the equation, so don’t fret about your little warrior coming up against older kids. That being said, very young kids are likely to find all the action a bit overwhelming, so at Delta Force we cater for those from 8 years old and up. 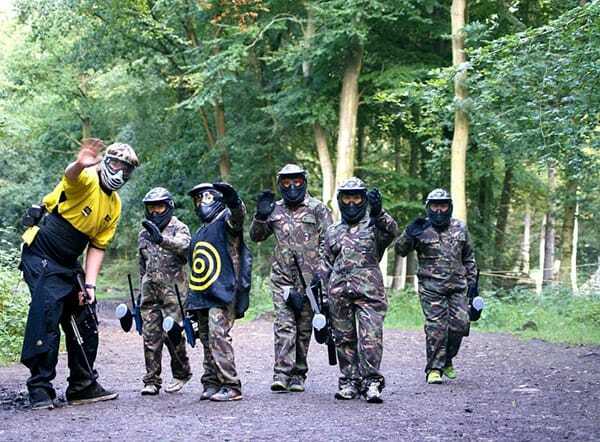 Our special MiniBall games is designed specifically for kids ages 8 to 10, with smaller equipment and ammunition being used, plus padded body armour protection and marshalling throughout the afternoon. While top-to-toe camo, flashy guns, face paint and fancy helmets might look impressive – the reality is that heavy gear can actually be more of a hindrance than a help in paintball. What’s much more important is your enthusiasm and a good attitude! Once you find you love the game, you can always invest in your own equipment and grow the hobby later – but for your first few games basic clothing is more than enoughand we provide the rest. Paintball is a physical gameand most participants like to jump and dive for cover when they need to. However, that doesn’t mean that there isn’t a place for the master strategists and tacticians to operate from the back! You really can play the game the way that suits you and your fitness level best. Where possible, pick partners who will complement your skill set – and remember the players who can hold their position, monitor their opponents and stay patient enough to wait for the right opportunity to advance are often more successful than the ones who dash out blindly! Whoever you are, whatever you wear and no matter how old you are; paintball is a blast. Don’t let the myths prevent you from giving it a go – we guarantee you’ll love it! 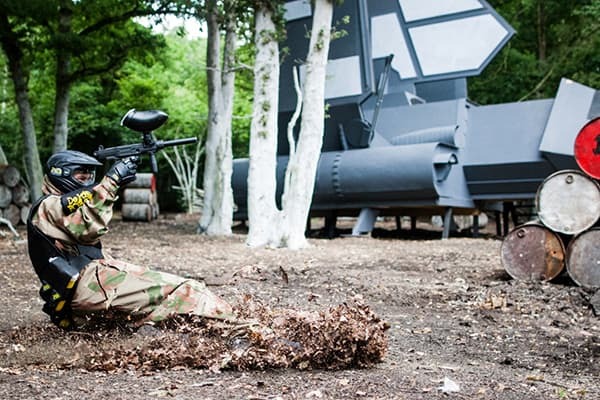 For more information on booking a day out at Delta Force Paintball, contact an event coordinator 24/7 on 0203 869 9301 or use our online booking form.